Trafford Council is the local authority of the Metropolitan Borough of Trafford in Greater Manchester, England. [a] It is a metropolitan district council, one of ten in Greater Manchester and one of 36 in the metropolitan counties of England, and provides the majority of local government services in Trafford. Trafford is currently covered by three constituencies: Altrincham and Sale West (nine wards), Stretford and Urmston (nine wards) and Wythenshawe and Sale East (three wards). 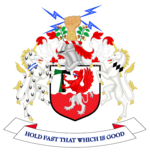 ^ The short name of Trafford Council is currently used by the authority for most purposes, however the longer names of Trafford Metropolitan Borough Council and Trafford Borough Council are commonly used in relation to the council. ^ The Local Authorities (Categorisation) (England) Order 2006, SI 2006/3096, art 5. ^ "CONSTITUTION FOR EXECUTIVE GOVERNANCE" (PDF). Trafford Council. Retrieved 19 March 2018. ^ "Wards in Trafford". Trafford MBC. Government of the United Kingdom. May 2017. Retrieved 4 June 2016. ^ "Your Councillors". Trafford MBC. Government of the United Kingdom. Retrieved 4 June 2016.